Raising boys is an adventure, one that I am so glad to be able to be a part of. As my boys grow, so does their interests and we are now venturing into the world of video games, electronics and technology. We are living in an electronic world and my almost teen, young tween boys are slowly entering this techological world and are facinated with what awaits them. But, as a mom I need to be cautious of what goes on and what they choose to play, see and do. So, when we find something that fits all our check-boxes, I want to make sure they are having the best time immersing themselves into the futurisic worlds. That alson includes the best gear to enhance their experience. 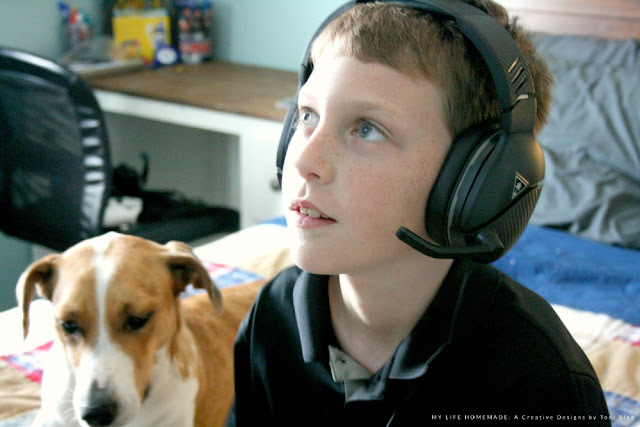 Turtle Beach Recon 200 gaming head-set provides them with a gateway into the world of video games. Turtle Beach Recon 200 head-set is made for XBOX ONE, PS4, Nintendo Switch, PC and/or Mobile that helps transition between our gaming console as well as the computer or mobile device when needed. With a metal reinforced headband and a flip-up mic, my not so gentle guys will have no problem keeping their head-set in working order. The Recon 200 head-set comes equipped with a powerful amplified audio with high quality 40mm speakers that transports us into the game for optimal sound and is surround sound ready when we use our XBOX One. 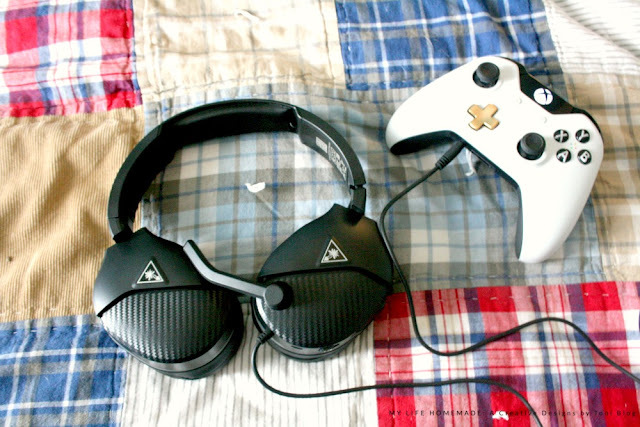 What more could you ask for from a gaming head-set? 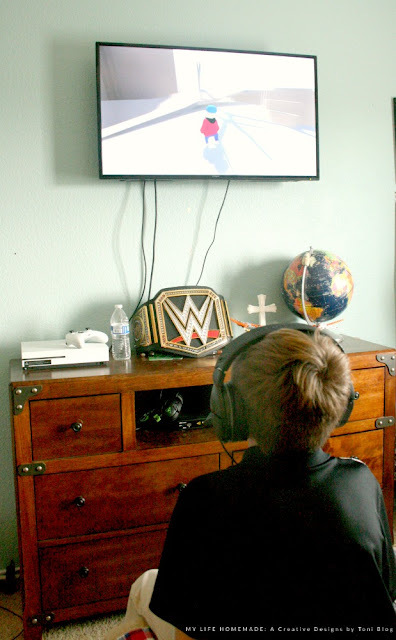 Since my oldest son is still fairly young, even though being a pre-teen he thinks he is grown-up, it is important for him to have easy to use controls that are accessable while playing. 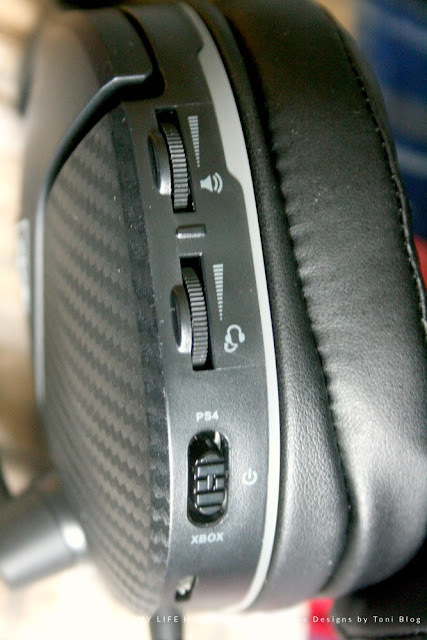 I love that the volume controls are situated perfectly on back of the head-set for easy access when controlling volume and sound. Plus, I LOVE the flip up mic with variable monitoring. It's super easy to mute the mic when I don't want to share our conversation and he can control the volume of his own voice inside the head-set. 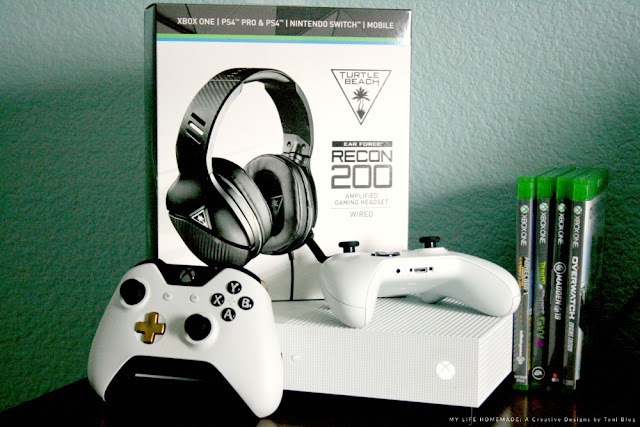 Want your own Turtle Beach Recon 200 Gaming head-Set? Get one for yourself on Amazon for only $59.99. These head-sets bring our gaming style to a new level and with Christmas coming it is absolutely a must-have item. Especially since he has a younger brother dying to try them out.